Snake Eyes, now, has his nemesis. The second figure in Hot Toys' 1/6-scale G.I. 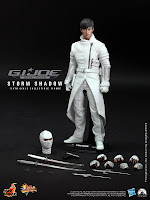 Joe: Retaliation line is Storm Shadow. 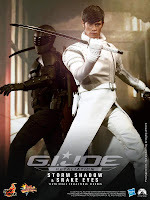 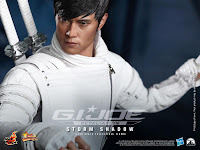 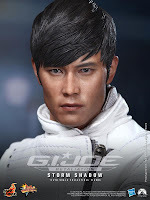 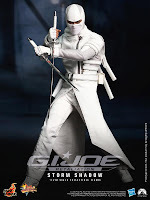 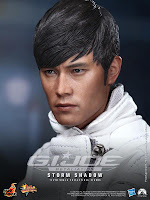 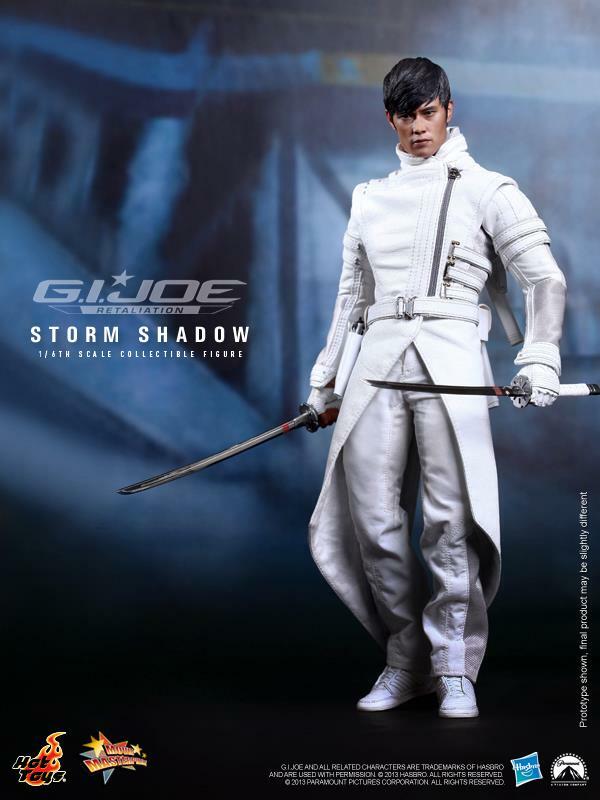 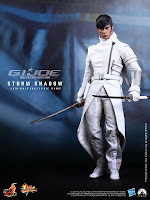 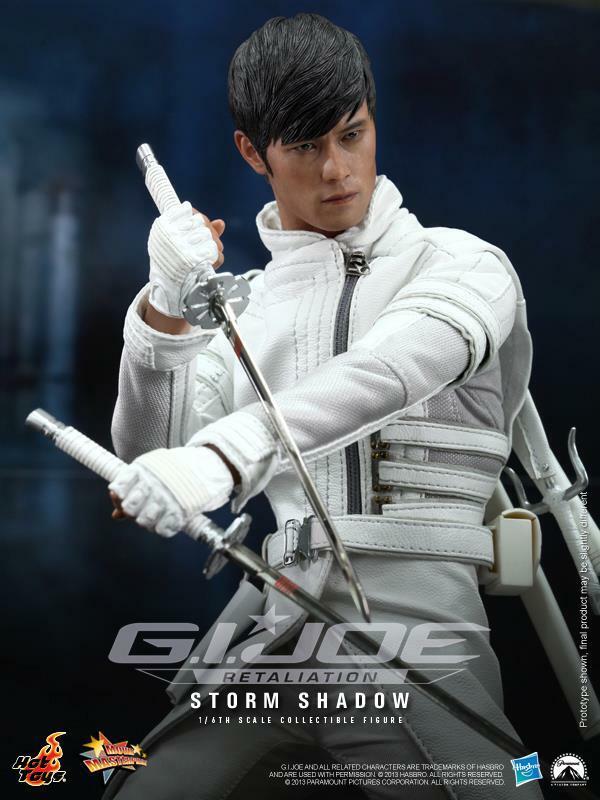 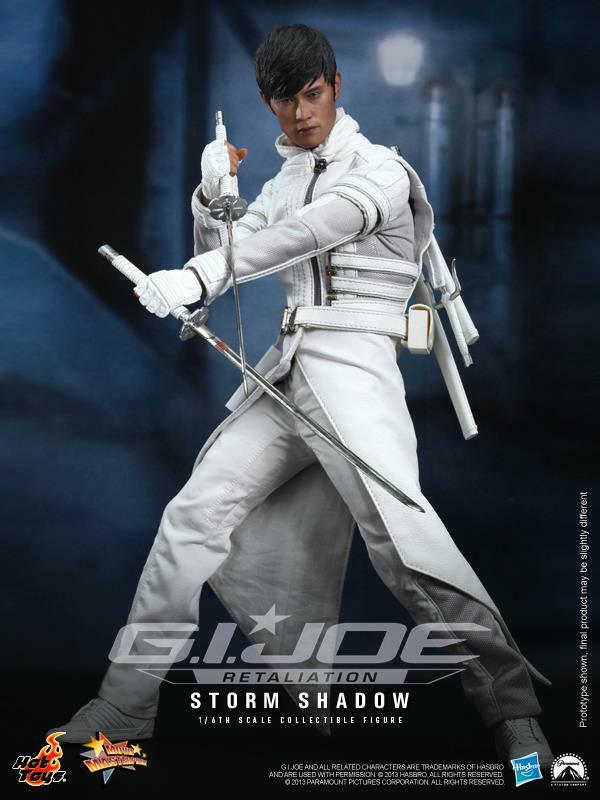 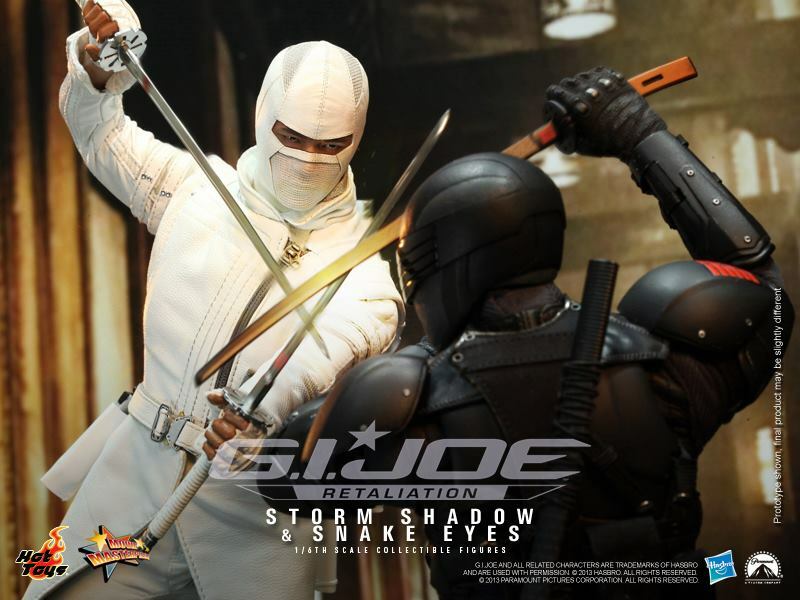 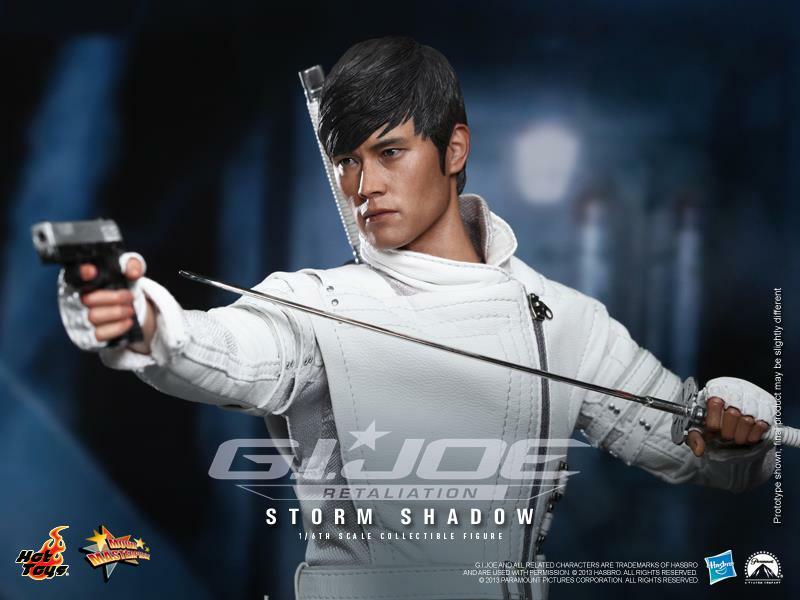 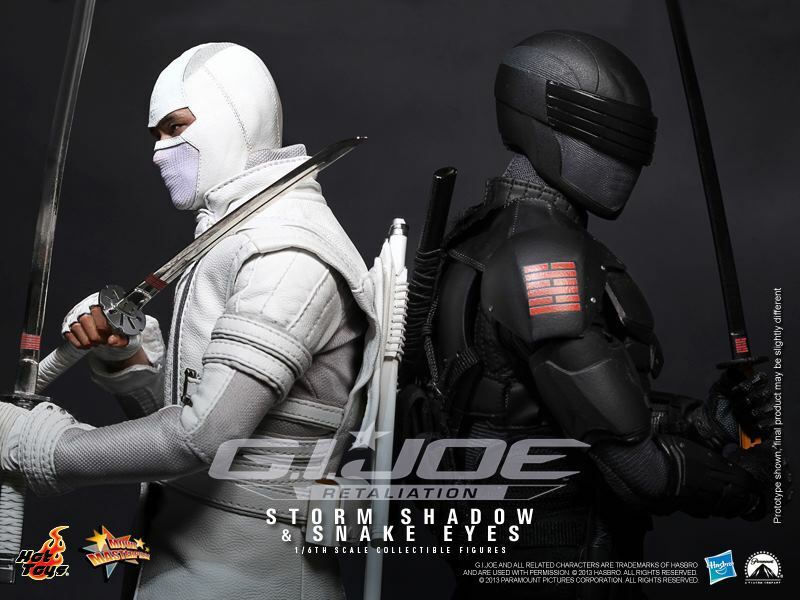 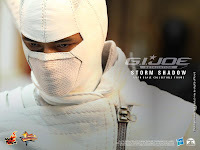 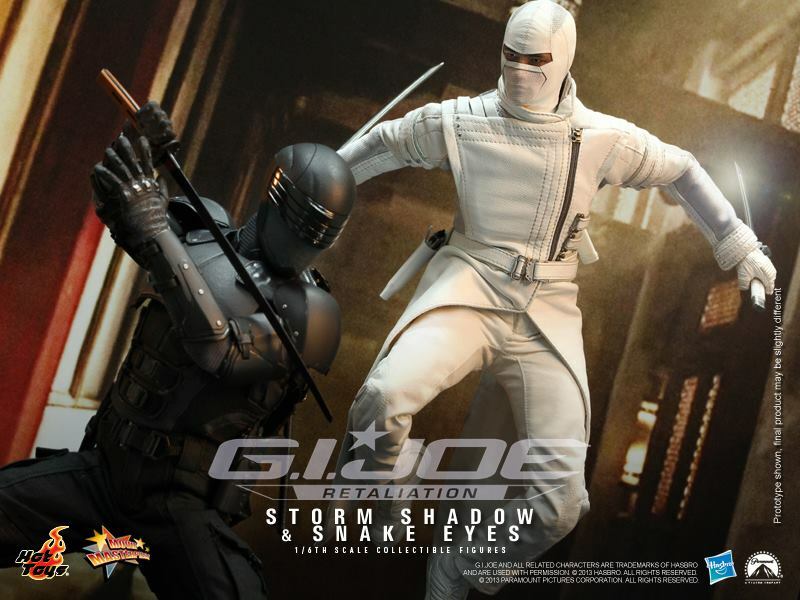 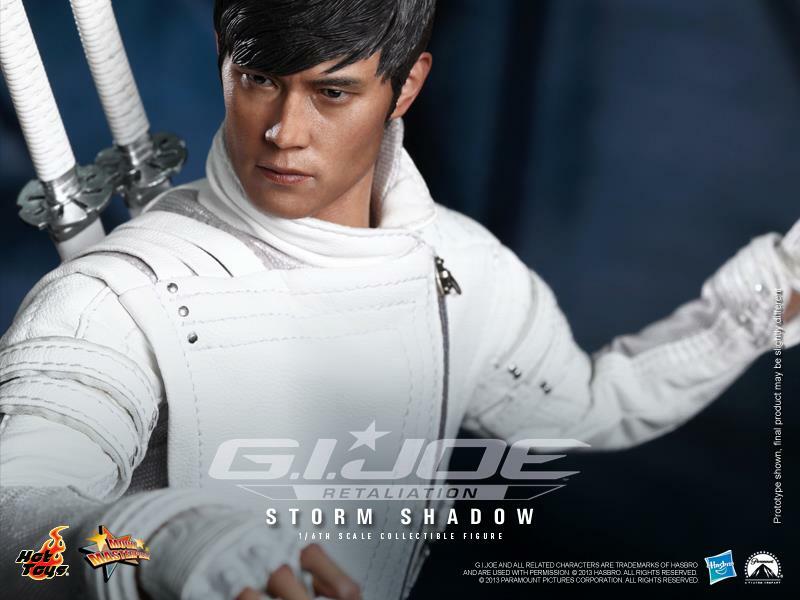 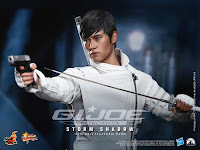 Storm Shadow is styled after actor Lee Byung Hun's portrayal of the Cobra ninja in Paramount's upcoming G.I. 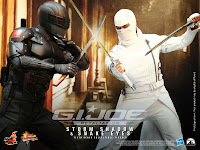 Joe movie and includes both an unmasked and masked portrait. 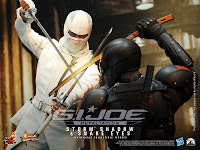 The figure comes on a true-type body with 30 points-of-articulation and includes several pairs of interchangeable hands, two metal swords with sheaths, two daggers, three darts and a pistol. 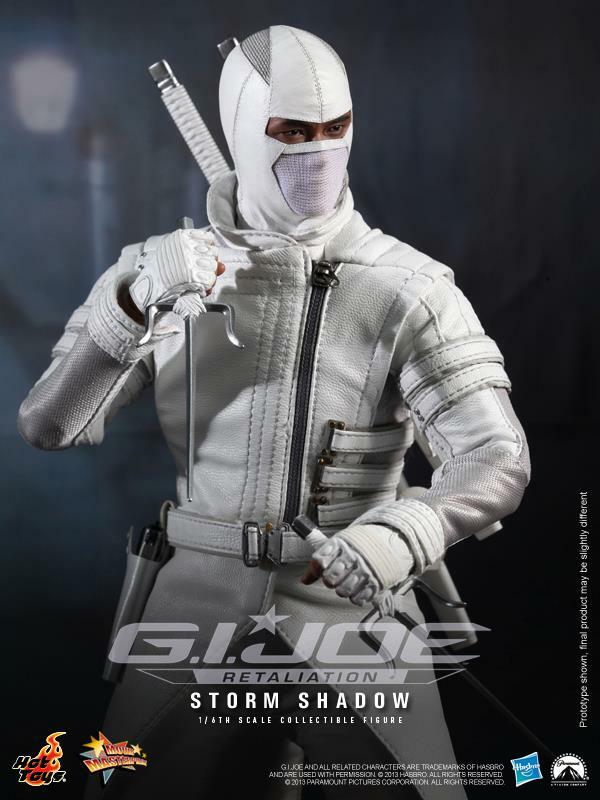 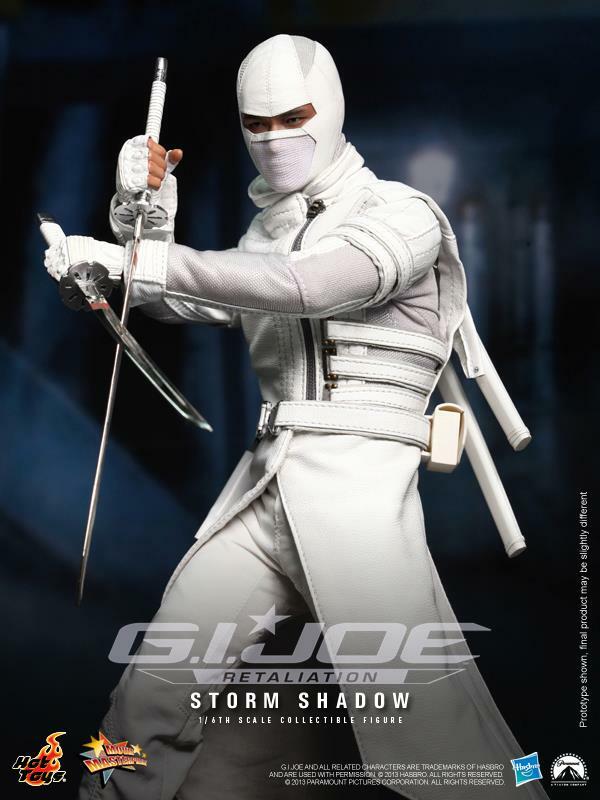 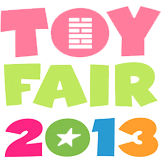 Look for Storm Shadow to start shipping in the second quarter of 2013.